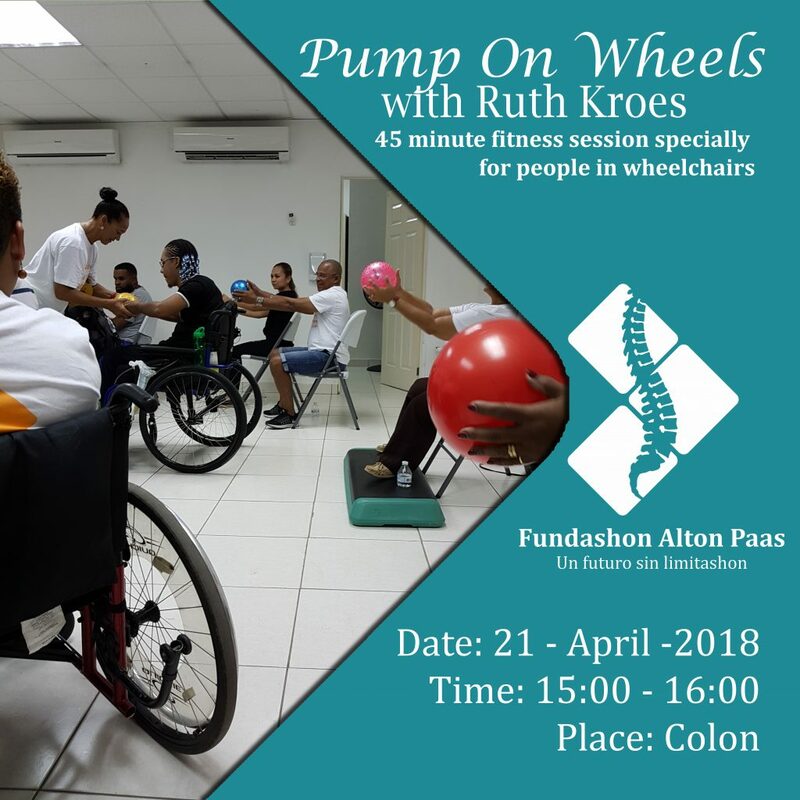 Pump On Wheel with Ruth Kroes is our monthly Fitness Session for people in wheelchairs. Pump on Wheels is held every 3rd saturday of the month at our facility in Colon. Ruth Kroes is the instructor who will be giving this session every month.